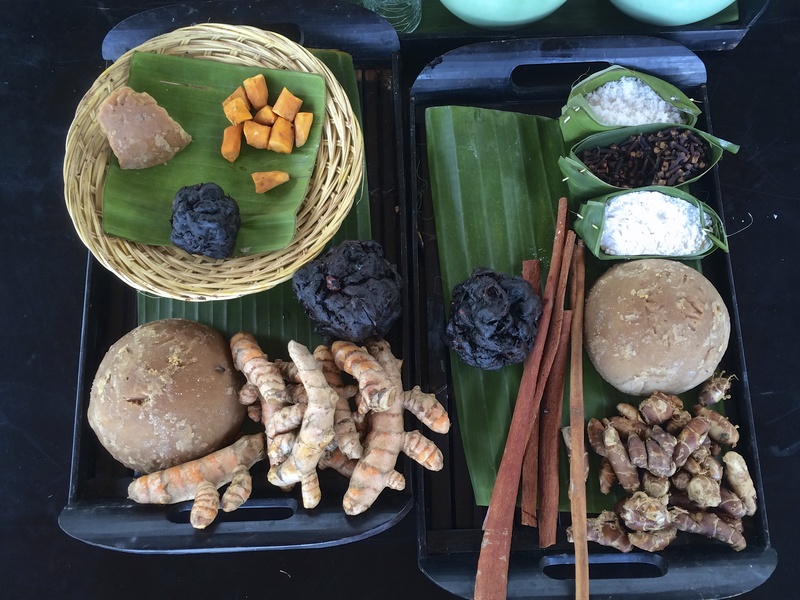 If you’ve ever been to Bali you will have immediately noticed how everyone seems to positively glow with health. Shiny hair, great complexions and sparkling eyes are the norm, and go hand in hand with the usual big smiles. Aside from living on an island that is close to paradise, you cannot but wonder if there is some sort of secret. During our latest stay in the amazing Spa Village Resort we think we may well have come across something that probably goes a long way to help. 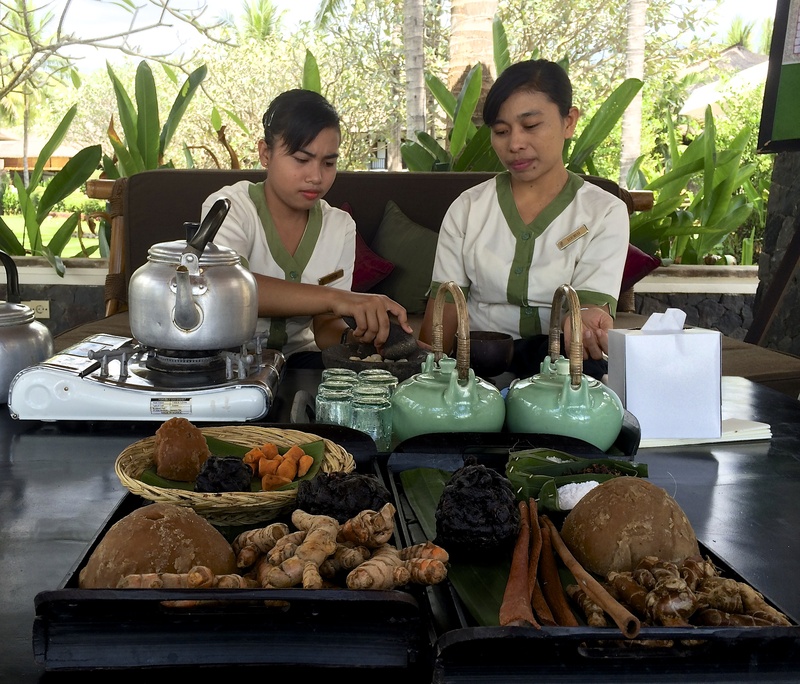 Almost everyone will admit to starting – and ending – their working day with a small shot of their own home made Jamu tonic: a rich drink made with a combination of local herbs and spices. It’s a go-to solution drink for all kinds of common ailments. 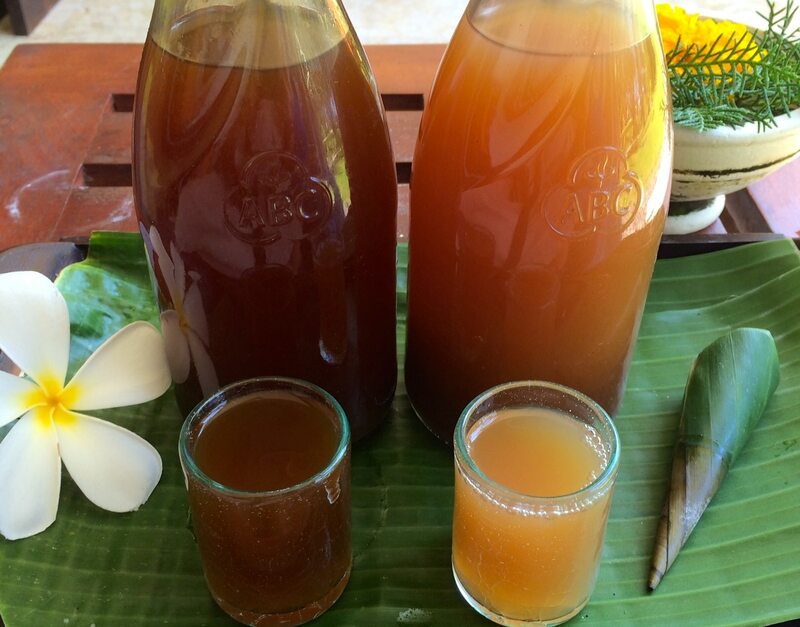 The Balinese depends on these drinks for their health, energy, strength and body-mind balance. 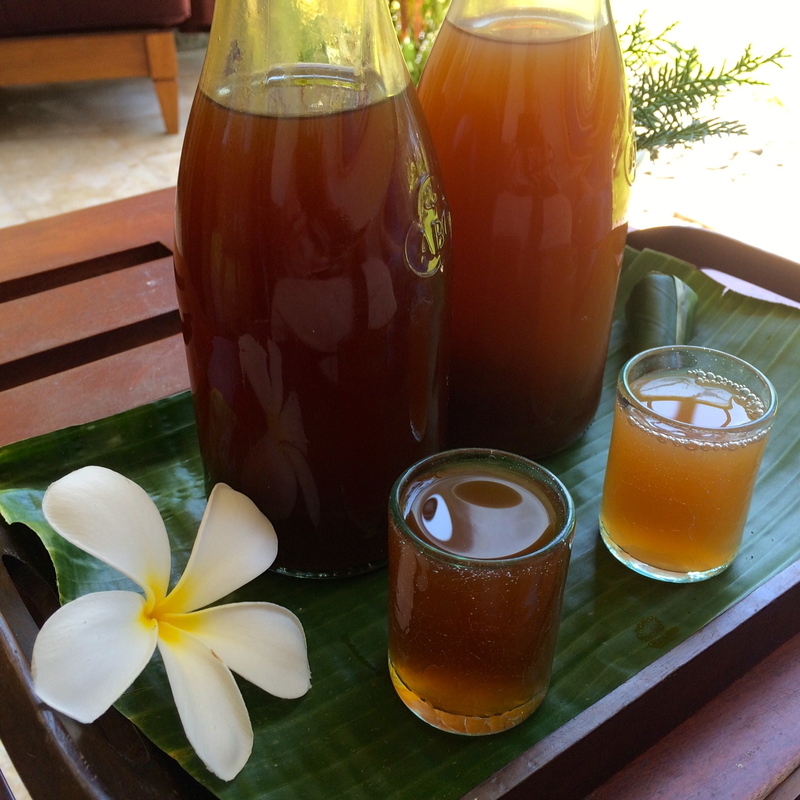 Here are the quick and very simple recipes for our two favourite Jamu recipes courtesy of the Spa Village Resort. Peel the turmeric and wash before slicing thinly. Boil it with the tamarind, palm sugar and salt for a few minutes, stirring regularly before straining. Allow to cool a little before drinking. Store in a bottle and drink warm or cold. Peel the finger root and wash before squeezing to extract juice. Boil the tamarind, cinnamon, clove and palm sugar for a few minutes, stirring regularly. Add the finger root, salt and rice powder (or grind up your own rice). Stir and allow to stand for a few minutes before straining. Allow to cool a little before drinking. Store in a bottle and drink warm or cold.